The Desire 816 is only HTC's second attempt at a phablet - a bit unusual considering the segment has been expanding rapidly. So why is HTC hesitant to enter it with both feet the way other companies have? It couldn't have been doubt in its own abilities, HTC makes some of the best-built devices on the market. The Desire 816 was a bit of a letdown in that respect - it's a beautiful device for sure, but the plastic on the back and the side buttons cheapen the feel of the device. To be fair, it's a midrange device so we can't expect premium materials though Sony has been offering its metal-and-glass design on a budget. Still, what you get for the average price tag of the HTC Desire 816 is a beautiful screen and visually-appealing, functional software. Sense 6 may not be pure Holo Android, but is arguably better looking than other popular Android skins with its flat design and pastel color scheme. The camera is great too, with good quality 13MP stills and 1080p video. We'd take this over any 4MP UltraPixel camera without a blink. Another area where the Desire 816 punches above its weight is audio - the stereo speakers sound great and the audio quality with headphones in is worthy of a flagship. HTC has another tablet that sorts the build quality issues, the HTC One Max, which has an aluminum body. It's a large device, though it has a great 5.9" 1080p screen, flanked by BoomSound speakers, a much faster chipset (Snapdragon 600), a larger battery and expandable storage. It still commands a hefty premium though, almost a year since launch. 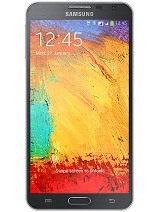 The Samsung Galaxy Note 3 Neo is a more affordable version of the company's flagship Note 3 phablet. It has a 5.5" 720p Super AMOLED screen with deep blacks and bright colors. You get a Wacom stylus too, plus the Note 3 Neo is a full 8mm shorter. The chipset tops the four Cortex-A7s of the Desire 816 with two extra Cortex-A15 cores. All six cores can work simultaneously and the Mali-T624 GPU wipes the floor with Adreno 305. The camera is an 8MP / 1080p shooter but a good one and there's 16GB of onboard storage, double that of the Desire 816. The battery is bigger to boot, at 3,100mAh. The faux leather back of the Galaxy Note 3 Neo may not be to everyone's taste, but it's miles ahead of the glossy plastic HTC used. Samsung did launch it with Android 4.3 though, that's one point against as the Desire 816 already comes with Android 4.4. KitKat. Another ex-flagship phablet is the LG G Pro. It's actually more compact than the Desire 816, at the same 5.5" screen diagonal. It's a sharper screen (1080p) with Gorilla Glass 2 and you get a Snapdragon 600 chipset like in the One Max. You do lose the stereo speakers, but it's priced somewhere between the two HTCs and the price premium seems acceptable for the advantages offered. Another fairly compact 5.5" phablet with a 1080p screen is the Oppo Find 7a. It costs around the same as the One Max, but it's a 2014 phone - that means an even more powerful Snapdragon 801 chipset and 2160p video. It has a 13MP main camera and a 5MP selfie camera. 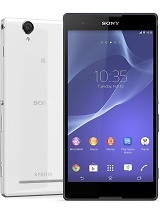 If you want big and beautiful, the Sony Xperia T2 Ultra is a prime example of the metal-and-glass OmniBalance design with a 7.7mm thin chassis and a dedicated camera key. It's a large device with a 6" 720p screen, other than that it's very close in terms of specs to the Desire 816. There's a dual-SIM version too and you don't have to be in China to get it. Note that it runs Android 4.3 at the moment, and the KitKat update has only been promised but is not yet delivered. 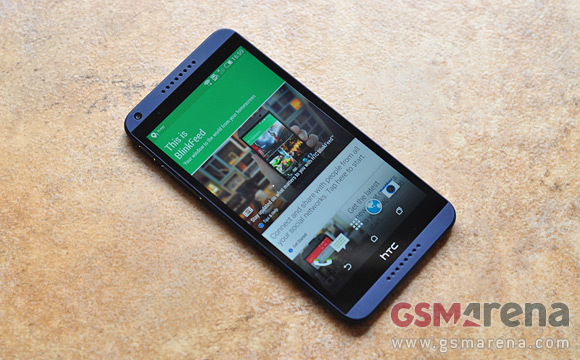 And also its back cover is made of a very similar glossy plastic as the one on the Desire 816. Another 6" dual-SIM phablet is available from Alcatel. The Alcatel Hero packs a sharp 1080p screen and a slightly different chipset but with roughly similar performance. It has a noticeably bigger battery (3,400mAh) and a stylus, too. Note that the single-SIM version of the device has a microSD card slot, while the dual-SIM does not. For one reason or another, HTC has largely stayed out of phablets but that doesn't make the Desire 816 a poorly-executed device. The only thing missing is HTC's traditionally high build quality. The rest of the device is pretty good and it all comes down to pricing. The Desire 816 is quite affordable in Asia (China, India), making it a smart choice, though not necessarily the only one. In Europe, it's priced higher than the Galaxy Note 3 Neo or the Xperia T2 Ultra, which is something to consider when you're drawing up your shortlist. HTC phones have been known to hit the market at ridiculously high price tags and one consolation is that the price might settle to a more acceptable level in a couple of months or your carrier might have a nice deal for you. 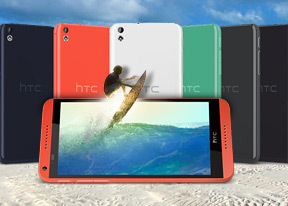 In this case, you can hardly go wrong with picking the Desire 816. It's a well-rounded package and while it may not win any awards, it sure isn't worse than any other midrange phablet.